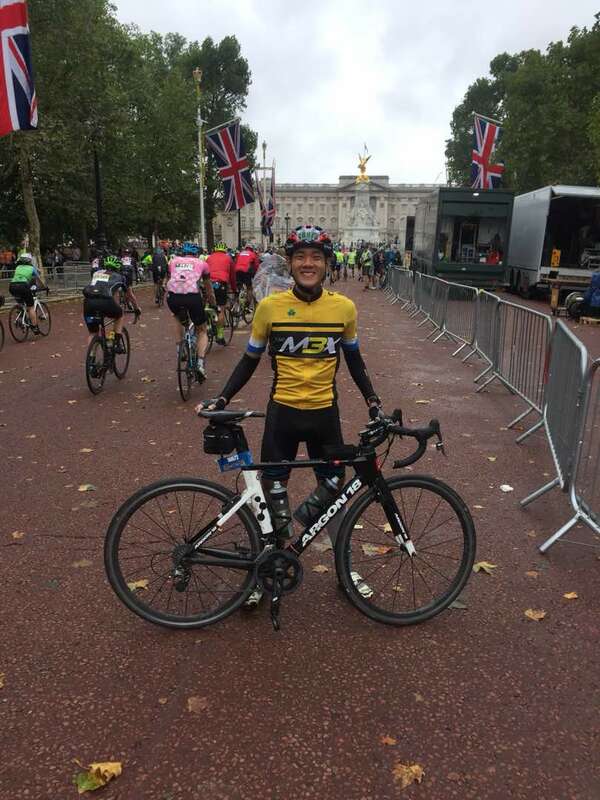 Mechanical Engineering student Lee Wen Jun cycled his way to London to participate in the Prudential Ride London – Surrey 100. The competition was held at the capital city of England on 28 and 29 July 2018. According to Lee, the first quarter of the race went smoothly. However, the real challenge began after 40km, when his physical and mental strength were put to test. “It started to rain heavily. The wind was very strong and it was freezing cold. My fingers and arms were getting numb and I started to shiver profusely on the bike. At that moment, my only thought was to complete the race,” he said. The icy-cold weather kept tormenting the cyclists to the extent no one even touched their drinks. Most of the riders hugged each other to keep themselves warm. “It was so cold that we had to hug strangers to keep ourselves warm. About an hour later, the rain subdued, so I continued cycling. By then, I was feeling better and more energised. I even led a group of cyclists and motivated them until we reached the finish line,” he added. “This race was an eye-opener for me because this was the first time I rode in such harsh weather. It also boosted my confidence because I was able to complete the 160km race without much difficulty. Now, I am looking forward to the next race. I know what to expect and I will not be caught off-guard again,” said Lee, pointing out that he is nowhere close to quit racing. His trip to London was an all-expense-paid trip, which included the flight ticket, accommodation and the entry of Prudential RideLondon – Surrey 100. The trip was sponsored by Prudential Assurance Malaysia Bhd (PAMB) after he won a cycling simulation challenge back in May 2017. The cycling simulation challenge required the challengers to cover the longest distance in 1 minute based on the course prepared by the organiser.